Local historian, Bob Simpson, will give a talk on Friday, Feb. 8 at the Oro Valley Public Library at 2:00 p.m. focusing on the Sutherland family of Oro Valley. The family lived in Catalina State Park. The Sutherland Wash and Sutherland Trail were named after them. Who knows perhaps a surprise namesake guest or two might attend the lecture. 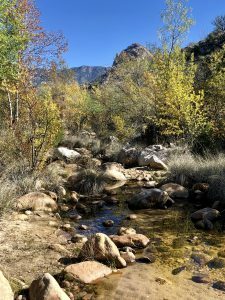 Bob Simpson is a retired Foreign Service Officer and is publishing a two-volume history of the area from Catalina State Park to the Biosphere. Interested in becoming part of OVHS? Be sure to talk to one of our members at the event. Though the event is free, we appreciate donations to OVHS to continue our work for the community!